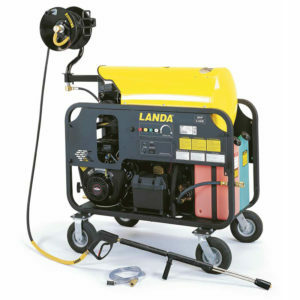 The VHP—an abbreviation for Vertical Hot (Water) Propane—is the solution when portability is needed indoors or outdoors. 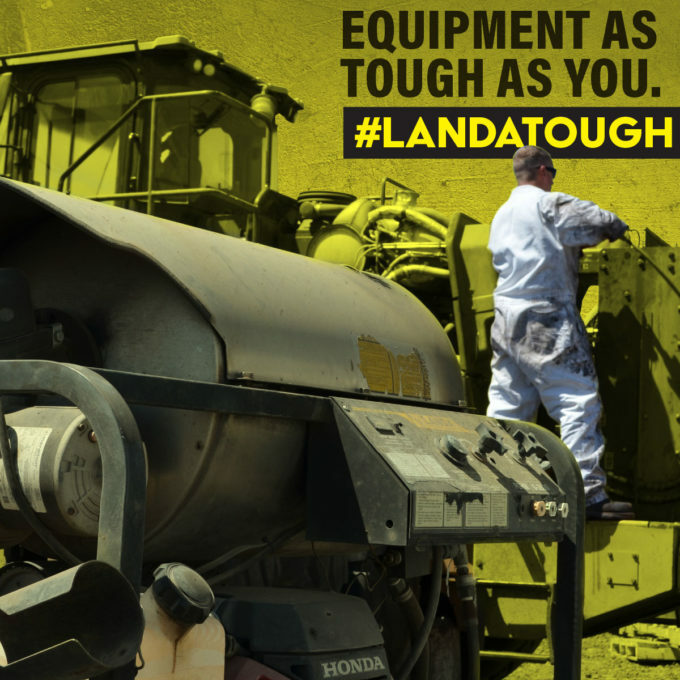 Featuring a carrier with snug-fit band for a 10-gallon LP tank, the VHP easily maneuvers most anywhere with tubed pneumatic tires. The four VHP models offer 120V and 230V configurations and deliver cleaning power of up to 2.5 GPM and 2000 PSI. 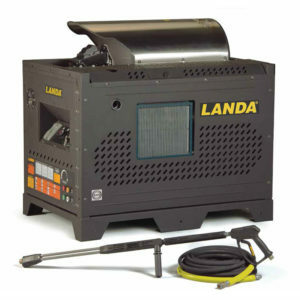 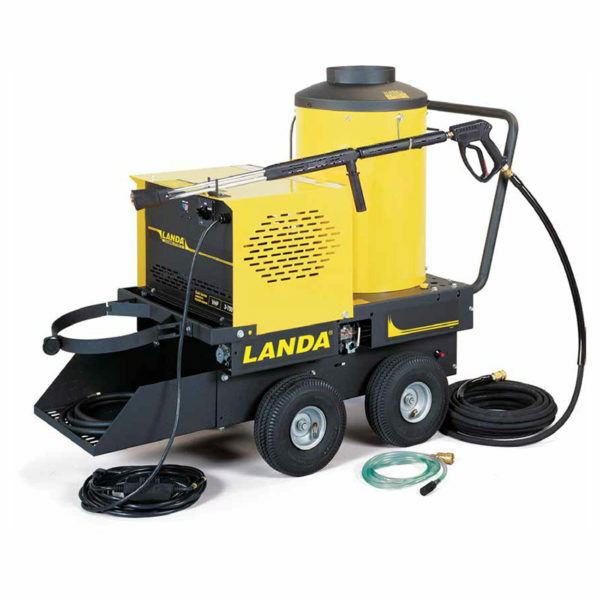 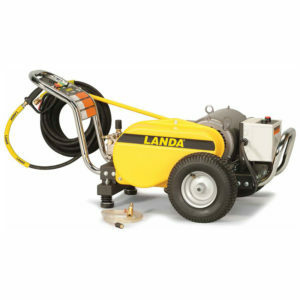 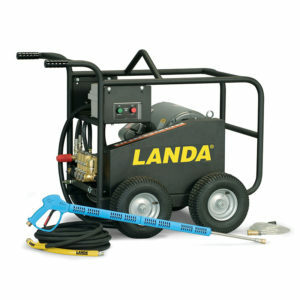 The VHP includes direct spark piezo igniter, a 10 ft. gas hose, a variable pressure wand, and rugged 10-gauge steel chassis, protected by an epoxy powder coat finish, and a Landa Karcher Group tri-plunger, belt-driven pump with 7-year warranty.